NEW BOOK! The Gift of Caregiving by Rebecca Colmer Sharp. 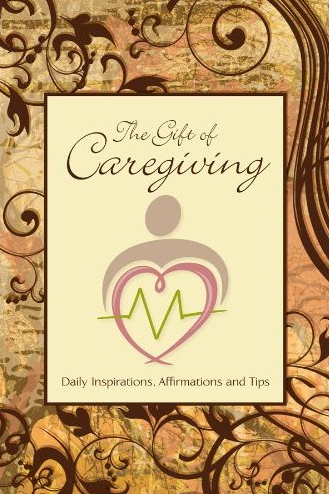 This is a book of inspiring messages for caregivers. It reveals realistic and practical tips to challenges that caregivers face each and every day. It is timeless in its message and invaluable in the course of caregiving, and written in thoughtful and insightful language. If you are a caregiver, you will want to have a copy of this book. If you know a caregiver, this will make a great gift, a way to say thank you and show your appreciation. There are steps we can take to help reduce the damage anger may have on our health. Take some time off, on a regular basis. Talk to a mental health conunselor or medical doctor. I am feeling warm and loving. The Gift of Caregiving retails for only $12.95. Discounts are available on volume orders. For more information, or to place an order, call 800-530-9129 or click on the Amazon link below. EKLEKTIKA Press, Inc. has released a new book by Rebecca Colmer Sharp, titled The Gift of Caregiving (ISBN: 978-0-9823250-2-5) . This book, I think has an amazing and effective affirmations. Caregiving is a gift and this gift is only given to those who have willingness to care.